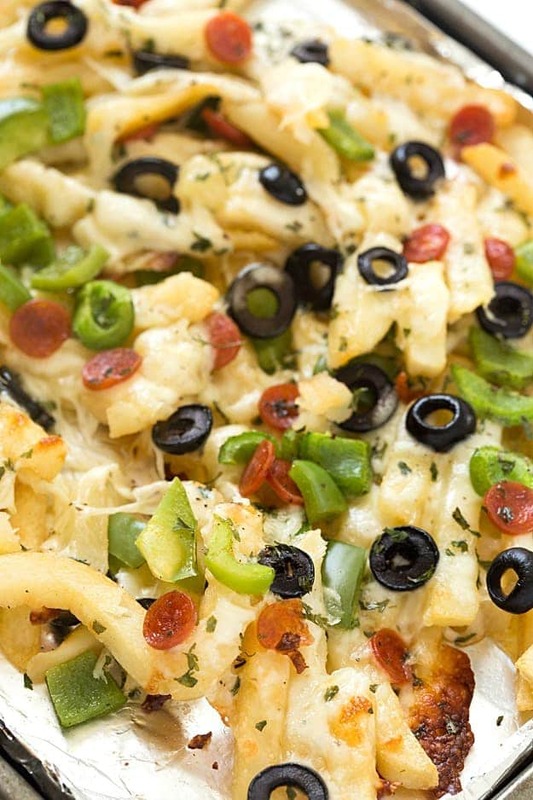 Supreme Pizza Baked Fries Recipe – A super fun twist on plain baked fries! Bursting with mozzarella cheese, mini pepperoni, black olives, and diced green bell peppers! The ultimate loaded comfort food! So easy they can be made in 15 minutes! It’s Friday!! I have been waiting to say that all week because I love Friday’s, and we are going away this weekend to see my parents. Not only is it a great Friday, but the weather has been perfect – high 70’s and low 80’s! Hello, Spring! I have always loved loaded baked fries. Who doesn’t? They are the ultimate comfort food in my mind with the gooey, stringy cheese pulling apart as you grab one or two at a time. Mmmm! 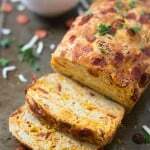 If you love pizza just as much as I do, then you will love our pepperoni pizza quick bread or even our pizza pasta! Mmmm. Another one of our favorites is our pizza dip! Great for parties! For the past couple of weeks I have been great on my “diet” – see how I survived my first week on keto (low carb ketosis). I haven’t had any trouble sticking to my planned out menu because it’s delicious food. 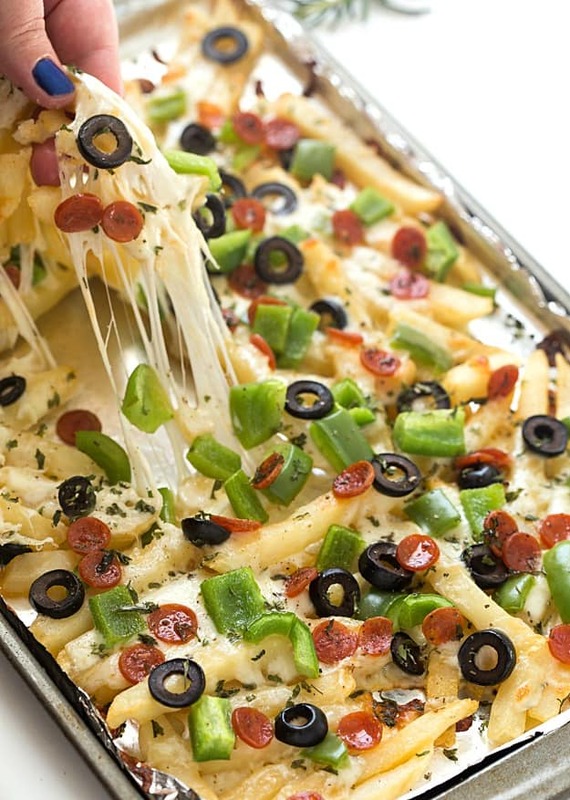 The hubby, on the other hand, love carbs and cheesy fries, so I thought I would surprise him with a batch of supreme pizza baked fries. Boy, did he love them! We have always enjoyed supreme pizza with all of the toppings: pepperoni, bell peppers, black olives, sausage (sometimes), and an extra serving of gooey mozzarella cheese! For the baking sheet, I used aluminum foil to keep the clean-up easy. For this recipe, I recommend using the smaller size baking sheet from this set and the larger one when you need to double the recipe to make more servings. Preheat oven to 400 degrees. Line a baking sheet with aluminum foil and spray with non-stick cooking spray. 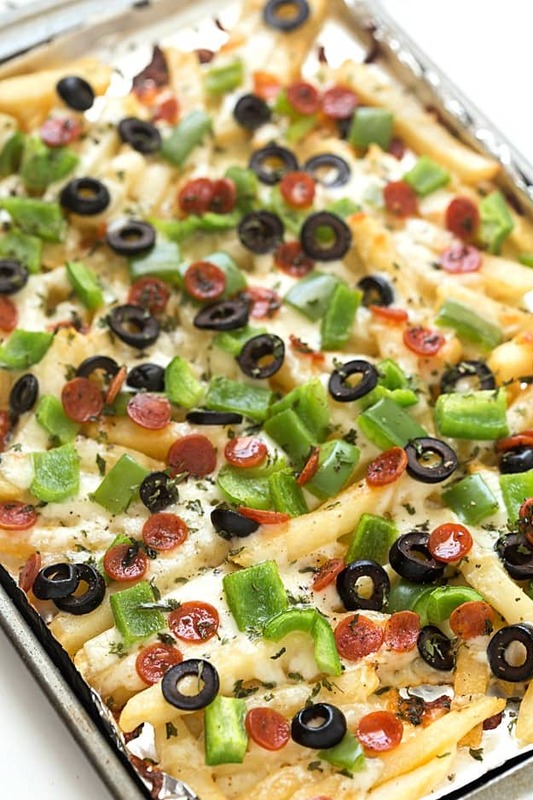 Place the fries onto the sheet, add mozzarella cheese, black olives, bell peppers, pepperoni, dried parsley, and dried basil on top of the fries. Bake for 10-15 minutes or until the cheese is melted. Serve with your favorite condiment or marinara sauce. I haven’t ever made baked fries like these before, but they look so delicious and definitely think I have been missing out on something great. Love all that cheese!